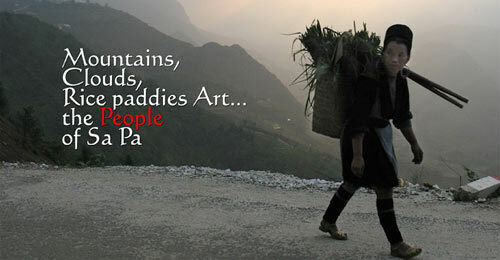 We would like you to share your favourite photo on our online album for topics related to Sapa! Submit your digital photo in JPEG/JPG format only. It can be no larger than one megabytes (MB) and about 1,000 pixels wide if it is a horizontal image or 1,000 pixels tall if it is a vertical image. Your photo will be examined by our editor, who will decide on its suitability for posting. We cannot guarantee that your photo will be used. When we use submitted photos we will give the photographer a credit (Photo: John W., Canada). If you do not wish a photo credit please indicate that in your email. 1. I own this Photograph, and I own all the rights, including copyright, necessary to submit this Photograph to HelloSapa.com. 2. I am the sole owner of copyright on this Photograph, and I understand that I am granting HelloSapa.com the nonexclusive right to use it in any way that HelloSapa.com sees fit. 3. I consent to indemnify HelloSapa.com against any claim, demand, action, suit, or other proceedings against HelloSapa.com arising out of the use of the photograph and related to any false or inaccurate statement. 4. I grant this authorization free of charge. 5. Participants who have modeled or posed in the photo have assigned all relevant rights to me.